Turn a wall adapter into a mini power supply with this incredibly useful adapter. 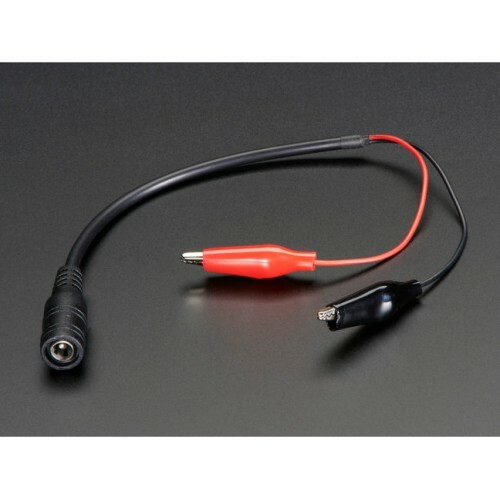 A high quality molded 2.1mm DC barrel jack is brought out to red (center positive) and black (ring negative) alligator clips. 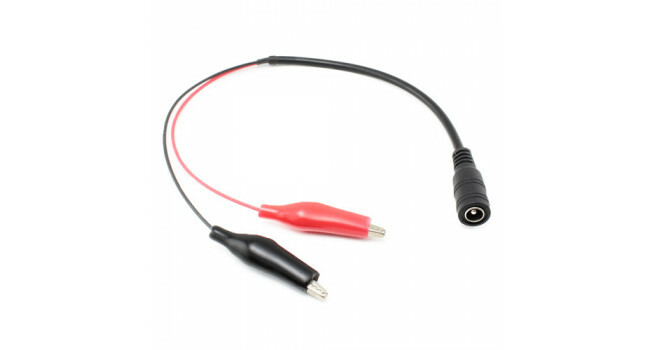 Works with just about every wall adapter, good for about 2 or 3 Amps of current and up to 24VDC. 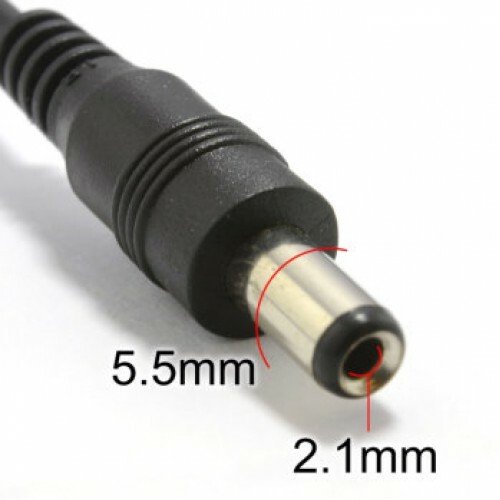 Switch with Male + Female Barrel Connector 2.1mm+5.5mm The standard 5.5 x 2.1mm DC plugs fit in between your power supply and any project with a dc power jack, without cutting or wiring needed. Eas..
Alligator Test Leads- Multicoloured (10 pack) Alligator clips (or Crocodile clips, if you prefer) are likely to be the most useful thing on your workbench besides the workbench itself. Whether yo.. Premium Jumper Wires - Male Female (50 Pack) If you need to knock up a quick prototype there’s nothing like having a pile of jumper wires to speed things. Your pack of 40 jumper wires will be a ran.. Battery Holder 9V with switch This is a 9V battery pack with on/off switch and a pre-attached 5.5mm/2.1mm barrel plug. 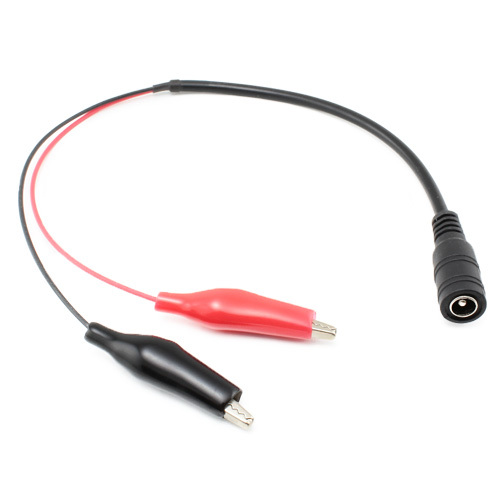 Use this to battery-power your Arduino (or other electronic projects) - it's r..